Kamal Haasan has donated INR 20 Lakh towards the cause. 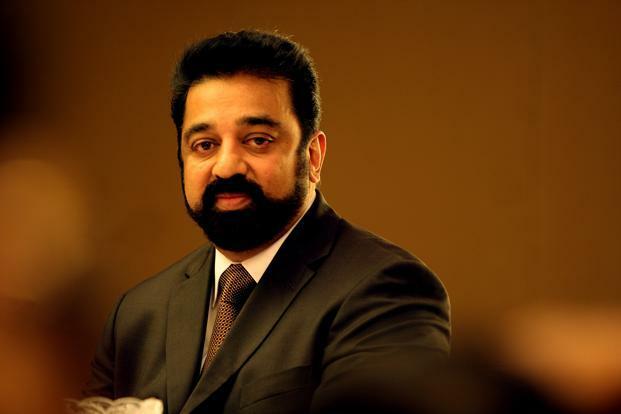 Veteran actor Kamal Haasan is arguably one of the most outspoken and popular names in Southern cinema today. He has never really hesitated to voice his opinion on burning issues such as Jalikkattu and corruption. In fact, he is was one of the first stars who spoke out in favour of ‘Mersal’ when it ran into trouble with the BJP over the GST dialogue. And, now, Haasan has once again done something come forward to support a cause. As it so happens, the ‘Hey Ram’ actor has donated INR 20 Lakhs towards the cause of setting up a Tamil chair at the Harvard University and promoting the language. Well, this is quite a commendable act and is bound to create a buzz for all the right reasons. Interestingly, before Haasan, actor Vishal too had made a donation towards setting up a Tamil chair at Harvard. “When the Ukrainian language spoken by three crore people, and the Celtic language spoken by one-and-a-half crore people have Chairs at the prestigious Harvard University, (which has been functioning for more than 380 years) — Tamil, one of the classical languages of the world which has ancient literature dating back to 300 BC, and spoken by eight crore people — should have one too!” he had said while supporting the cause. Well, we hope that these efforts pay off and Tamil gets a chair at Harvard. On a related note, this is a busy time for Haasan. He will soon be resuming the shoot of the delayed ‘Vishwaroopam 2’ in Chennai.